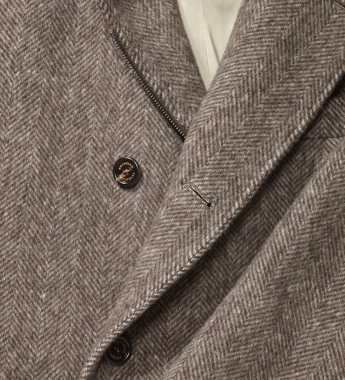 Leave it to Brunello Cucinelli to revamp a classic single-breasted flecked jacket and update it in a modern, slim double-breasted option. As with any piece of clothing from his eponymous label, this coat can work its way into your wardrobe in a variety of ways. While Cucinelli pieces are all priced astronomically high, they’re the kind of items that will be in your closet for years to come. Whether you’re on-duty or off-duty, you’ll never look underdressed. Zipper and button closure, two slanted pockets, a ticket pocket and two inside pockets and two back vents. Made in Italy. 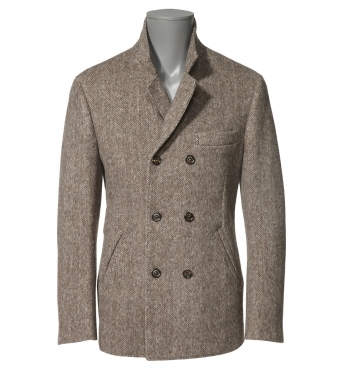 This entry was posted in Outerwear, Tops and tagged Brunello Cucinelli. Bookmark the permalink.